Keeping your business profitable involves more than just dealing with supply and distribution chains. It entails utilising every little competitive advantage that you can avail of, for staying ahead of your business rivals. Many business owners look at improving their products and services for boosting their businesses. Others focus on collaborating with other business ventures to increase the visibility of their brand – especially in newer markets. Some business owners focus on providing their customers with a better value for their money. So, they offer their clients more value for the same price. However, these business owners often forget that no business can do without its workers. The employees of a company manage every single aspect of a business. Therefore, a group of people in the manufacturing division keep the production lines rolling. Other workers focus on promoting the product or service and giving it the visibility it needs. Still other employees engage with the customers and build constructive relationships with them. This helps in generating sales and revenue. This underlines the fact that the employees are the most important resources in any organisation. People set up businesses not for focusing on their employees. Rather, they set up business ventures for pursuing a dream or for earning more money. Therefore, in the past, business owners often did not focus on their employees. This attitude has undergone a tremendous change, in recent times. Contemporary businesses have realised the need for developing the potential of their employees. The daily routine at work often brings in various bad habits. These habits cloud the directions and guidelines prescribed by the organisation. Therefore, getting your staff to unlearn these habits and to adhere to the prescribed guidelines helps in standardising work-related procedures in the organisation. It also helps your staff deliver optimal results. Similarly, providing access to training facilities helps in sharpening the potential of your employees. The better trained your workforce is, the better the results they would be able to deliver. In many ways, this is because training helps them develop clarity in thought and action. Thus, they end up delivering the desired results faster. Organisations can only benefit from having well-trained staff on board. As employee retention becomes an increasing challenge, providing opportunities of training to your employees could distinguish you from other businesses in the domain. Employees seldom leave employers, who provide them with various opportunities for upgrading or upskilling themselves. This could be through various training programs, whether held in classroom sessions or even online. From financial service courses online to an online accounting training course, the internet abounds in training sites that offer a plethora of business courses online. In the past, employers needed to conduct such training programs using in-house staff or an external vendor. This entailed the loss of vital production hours. Therefore, not many businesses were keen on giving training opportunities to their employees. With the arrival of the internet however, training methods also underwent a change. Trainers today do not conduct training sessions in outdoor venues or in classroom sessions any longer. Modern training methods minimise the wastage of time by conducting trainings online. Therefore, employees can attend these courses online, based on their schedule. In some cases, they can even resume the training from the very point where they had left it on an earlier occasion. What are the Main Benefits of Attending an Online Business Course? Online courses help in reducing the wastage of time unnecessarily. Your employees do not need to travel anywhere. They could take these courses from their desks without having to spend any time in commuting to the venue for the training. Utilising online business courses like an online accounting training course for giving your employees a refresher. That too, at exceedingly affordable rates. 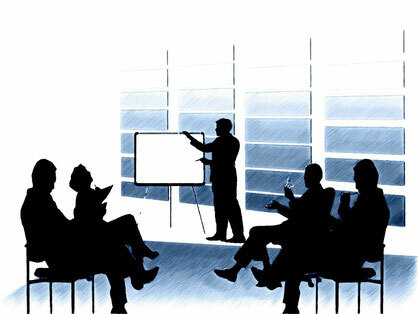 Training courses can enhance the effectiveness of your employees. It could boost your business and revenue generation as well. To provide quality training to your employees, you need a vendor you can rely on. At the Australian Salesmasters Training Company, we deliver innovative products and services to our clients. We have a team of accredited facilitators. They deliver modules based on various skills and techniques. Therefore, your staff can apply easily the learnings in their daily work. To learn more about the courses we offer – from accounting to floristry training – call us at 02 9700 9333. Harness our expertise to help your staff succeed.